Nathan was introduced to brass instruments through his involvement with the Salvation Army in Belfast, being a fourth generation member of the church. At the age of eight he began playing the trombone through a scheme organised by the City of Belfast School of Music. 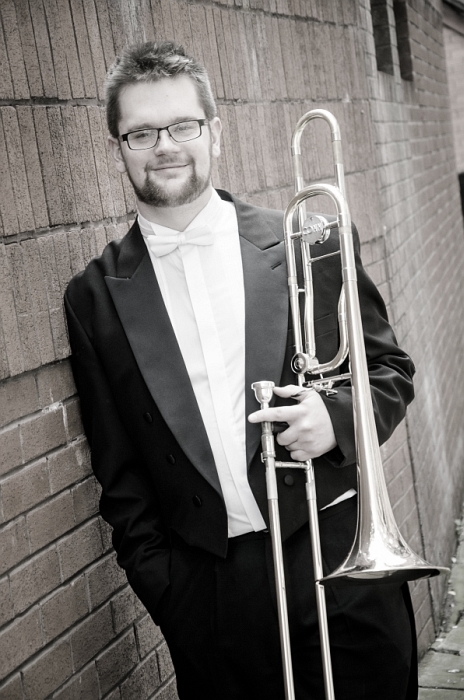 Throughout his teenage years, Nathan played with various Northern Irish ensembles including the Ulster Youth Jazz Orchestra and the Ulster Youth Orchestra, both of which he was principal trombone for three consecutive years. His passion for playing the trombone led him to pursue a career in music, beginning with achieving a place at the Royal Northern College of Music in 2009. Since then he has built up a diverse CV ranging from working with pit show bands to professional symphony orchestras, recently performing with the Ulster Orchestra, Royal Liverpool Philharmonic Orchestra, RTÉ National Symphony Orchestra and RTÉ Concert Orchestra. Nathan is also a member of the 1st Old Boys Brass Band in Belfast, who recently competed in the European Brass Band Championships in Perth and placed 2nd in the Challenger Section.